After filtering and heating, the air enters into the hot air distributor at the top of the centrifugal spray dryer, and the hot air will spirally and evenly goes into the drying chamber. 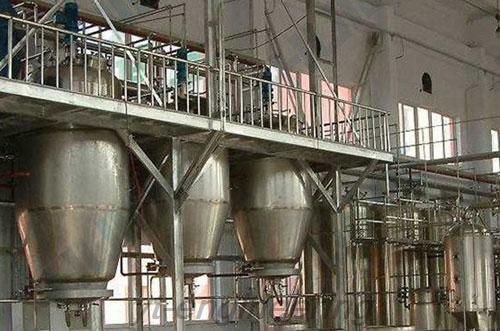 The material liquid via high-speed centrifugal atomizer rotates into extremely thin vaporific liquid globule and parallel with the hot air, and then the liquid will be dried into powdery products in a very short time. 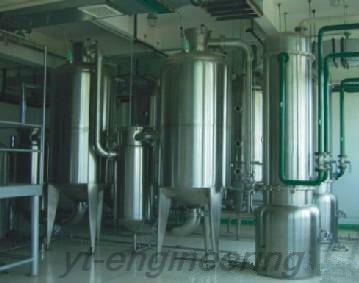 Coffee powders are formed by spray drying machine. 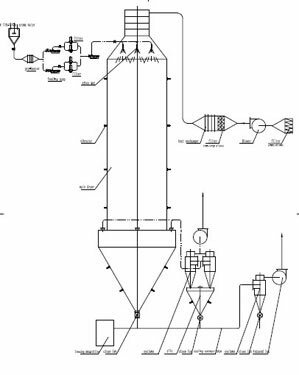 Pressure spray dryer utilize spray nozzle to atomize the materials to tiny liquid drops, which drop in parallel with the hot air at the top of the tower to finish drying, and transform the materials into powdery or granular products. Coffee granules are formed in this way. Acceptance of green coffee beans – preparation for mixing and baking – crushing process – extract process and aroma recovery – concentration process – spray process – packaging. The first step is cleaning of coffee beans. The second step is baking, each time 250KG with the temperature of 180 to 200℃. Next is crushing process. Then it follows the extraction process. The solute concentration of coffee after extraction ranges 10 to 30%. Next is aroma recovery and then concentration process. 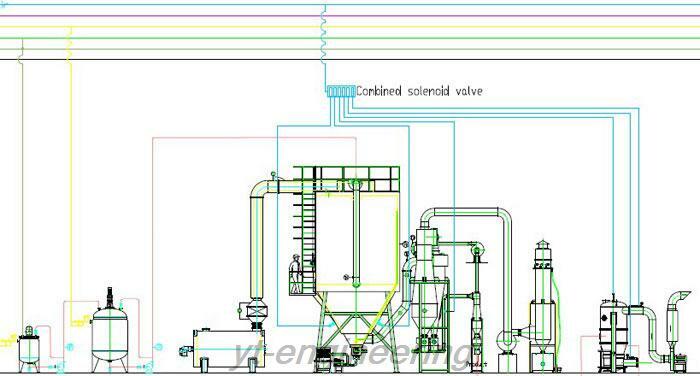 In order to lower the drying cost of spray drying machine, the solute concentration should be improved to 35 to 50%. 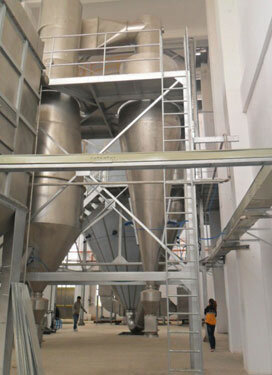 The following step is spray drying the materials into powder or granules. And the last step is packaging. Our drying equipment includes vacuum drying machine, spray drying machine, chamber dryer, tunnel dryer machine, belt dryers, flash dryer and air stream dryer. Drying technology has wide application areas. 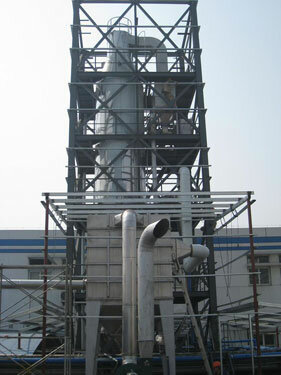 Facing numerous industries, various physical and chemical properties of materials, product quality and different requirements, the drying technology has been developed into a multi-industry and interdisciplinary technology with experimental and scientific nature.